When Ford started with its now-popular Police Interceptor Utility, a Ford Explorer police vehicle, it was easy to spot one from a quarter mile. You could then slam your brakes, get down to the speed limit, and goose it as the car faded in your rearview. 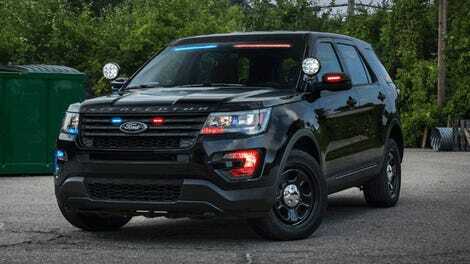 But now Ford has new LED lights that make it damn near impossible to spot police versions, meaning only one thing: Explorers are not to be trusted. I used to be able to spot a cop car from far away by just looking for a big, rectangular christmas-tree ornament on the roof. Once I spotted that light bar, I stopped whatever shenanigans I was up to, and waited until the car passed. No harm, no foul and, most importantly, no tickets. Heck, even early Explorers were easy to spot, meaning I could still act like a dolt and get away with it. Just look at that big light bar on the top, the push bar out front and those LED lights going across the grille: easy spotting. Even without the push bar, the light bar on the top and those two little lights jotting from the bottom of the grille were not hard to notice. Then the 2016 Police Interceptor Utility came around, integrating the front LEDs a lot more seamlessly into the grille and fog lights. So who knows how many police departments are going to start using these stealthy lights instead of the bar. 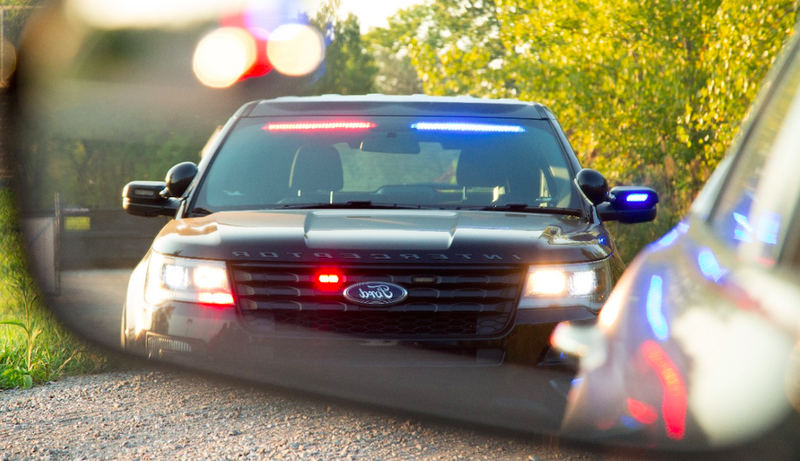 Together with our front visor light bar, Rear Spoiler Traffic Warning Lights offer a fully integrated solution for agencies wishing to minimize the presence of their police vehicles...While signaling to drivers of an upcoming emergency situation, it constitutes a clear safety benefit for officers and the public. Sure, there have always been “undercover” cop cars here and there, but most around where I live have had that giant light bar. If that changes thanks to these new LEDs, I’m going to have to stop trusting any and all Explorers.